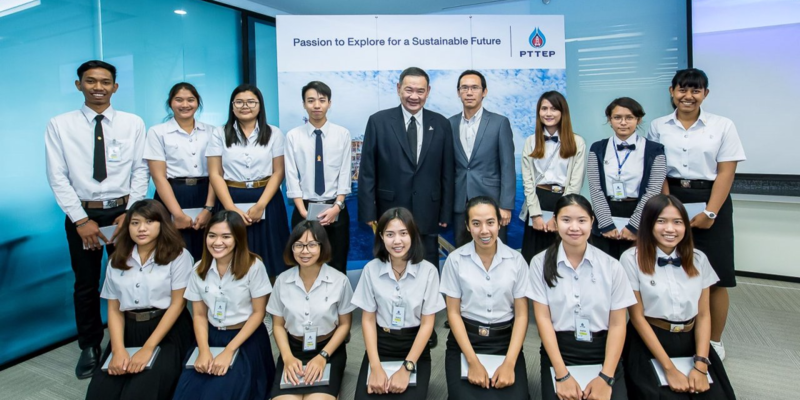 PTTEP has granted scholarships in order to develop the human resources required for the petroleum industry. Prapat Soponpongpipat, executive vice president of the geosciences and exploration group of PTT Exploration and Production Public Co Ltd (PTTEP), presided over a ceremony awarding the 2017 scholarships to 14 geoscience undergraduates from the Chulalongkorn, Mahidol, Chiang Mai and Khon Kaen universities. The aim of the programme is to develop the human resources needed to support growth in Thailand’s petroleum industry. The ceremony was held at the Energy Complex building. The company said that supporting education has been one of the primary aims of PTTEP as part of its efforts to create opportunities for young people.